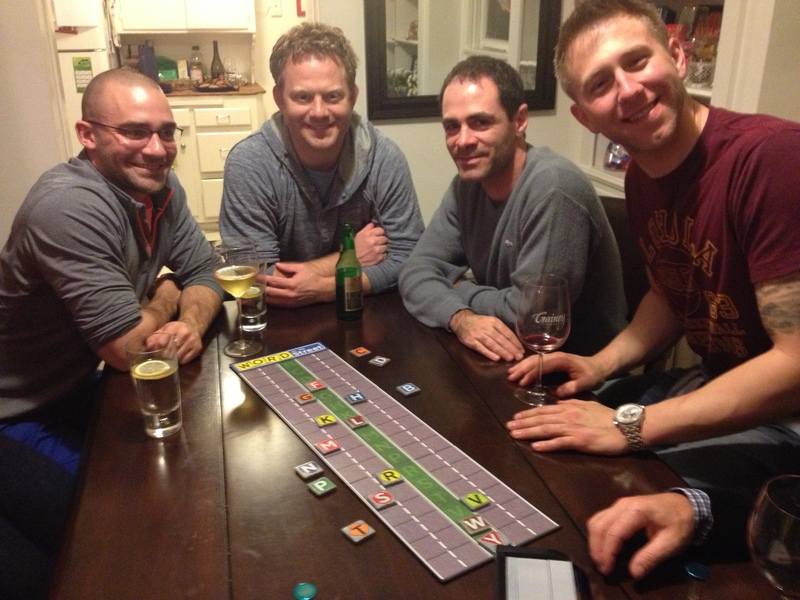 When my family gets together for holidays, one of our favorite things to do is play games. “Word on the Street” has become one of our favorites the last few years. You would not believe the competitive spirit this game brings out of everyone! By the end of the round, don’t be surprised if you find yourself standing because you got so caught up in the action. You should absolutely bring this to your family’s Thanksgiving celebration! You divide into two teams, we always play boys vs. girls, and sit on opposite sides of the board. The goal is to earn more letter tiles than the other team. On your team’s turn, you pick a category card and have 30 seconds to work together to come up with one word that fits the category and uses as many letters as possible that are on the board. Meanwhile, the other team can do their best to distract you! 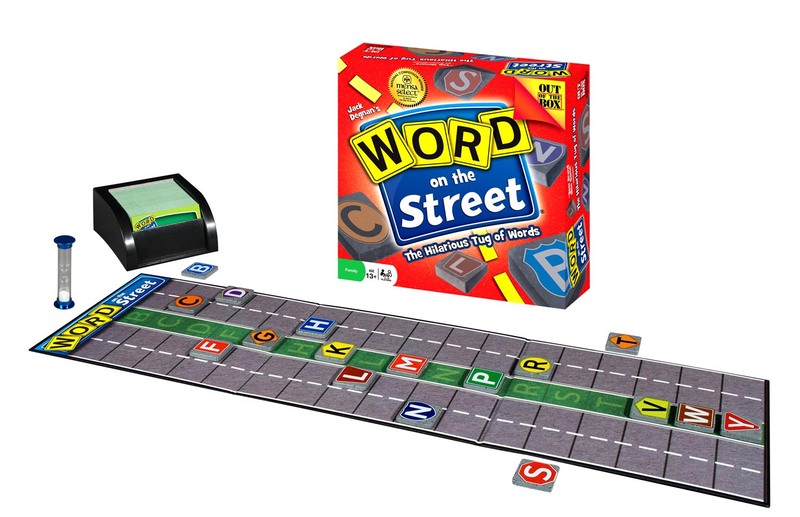 For the word that you choose, your team will spell it out and move each letter tile one lane closer to your side of the street. For example, if you got the category “something that runs”, you could choose “dog”, but that wouldn’t get you as many letters as “antelope” or “fence”. Once you pull the letter tile off the street on your side, your team gets to keep the tile. 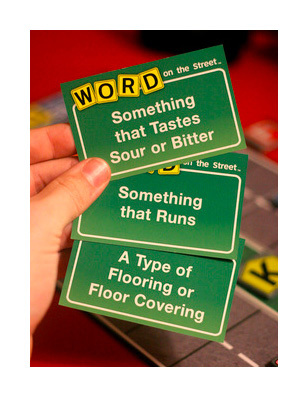 However, as long as the tile is still on the board, the other team can try to spell a word that will pull the letters back from you and towards their side of the street. With only 30 seconds to work with, you have to think of a word and spell it out quickly! This is a great game for a party because it can be learned in a few minutes and you work with your team to come up with a word, so if you don’t have an idea, someone else on your team might! Bring this game out at your Thanksgiving family gathering or give it as a hostess gift for a holiday party. You can order it on amazon here. If you are looking for more games, another one that I LOVE playing with a big group is Fish Bowl. All you need are pens, slips of paper, and a group of people.